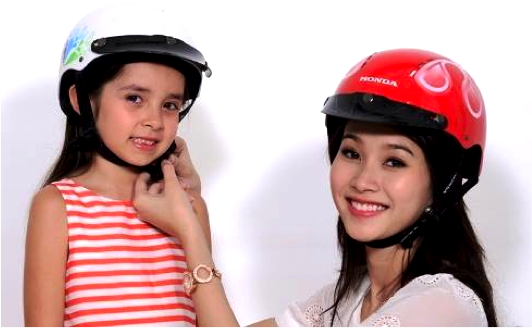 September has been a big month in our efforts to increase child helmet use in Vietnam. With the new school year comes a renewed commitment from educators and parents to keep children safe. Follow-up visits to 32 Helmets for Kids project schools in August and September found even more children wearing helmets. The most recent results of our work to increase helmet use among boda boda motorcycle taxi operators in Uganda show encouraging progress as well. The road safety crisis has also been receiving global attention, with coverage from a ground-breaking series entitled "Roads Kill" by the Pulitzer Center on Crisis reporting, as well as a Cambodian dance troupe's take on the issue in a modern dance show. Raising awareness is the first step in eliciting meaningful behavior change, and we are so pleased with the significant strides that are being made. From August 27 to September 20, AIP Foundation, together with the Quang Binh, Ha Tinh, and Dong Nai Traffic Safety Committees and Departments of Education and Training, organized training workshops for teachers from 32 Helmets for Kids project schools across the three provinces. During these workshops, 377 teachers and local partners received training on helmet use and how to most effectively teach students and parents about the importance of wearing a helmet. Representatives visited schools to check in on helmet use rates, restate the importance of helmet use on both motorcycles and bicycles, and collect crash cases. One such crash case was that of fourth-grader Dao Quang Duy. This August, Duy was riding to school on his bicycle when he collided with a motorcycle and fell into the street. Thanks to the helmet that Johnson & Johnson donated, Duy was protected from a serious head injury and he walked away with only a few minor scratches. On September 17, Sealed Air Corporation launched its seventh year as a Helmets for Kids sponsor with a helmet handover ceremony at Cam Thuong School in Hai Duong province. Sealed Air donated 260 helmets to first graders and teachers, as well as older students who had outgrown or damaged the helmets that they had previously received. The company has been supporting the Helmet for Kids program since 2007 through Diversey, now a business division within Sealed Air. The helmet handover celebration featured student performances and remarks by community members and educators as well interactions between students and Stefan Phang, Sealed Air's regional director of sustainability. In the past six years of this partnership, Sealed Air and AIP Foundation have donated approximately 1,814 helmets and nearly six years of traffic safety education. New activities for this school year include traffic safety and child helmet use training for all teachers and parents, a road safety festival for students and teachers, and the installation of a billboard at the school gates that reminds parents to put helmets on their children. Read the press release here and check out the photos. 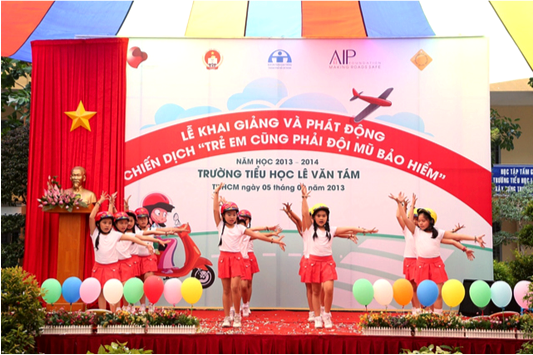 This month AIP Foundation held launch events for Phase III of its public awareness campaign "Children also need a helmet" in Danang, Hanoi, and Ho Chi Minh City. "Children also need a helmet" is a national campaign that was launched in 2011 by the National Traffic Safety Committee, Ministry of Education and Training, and AIP Foundation. The goal of the campaign is to improve the rate of helmet use among children, correct parents’ misconceptions about helmet use among children, and increase awareness around road safety issues with the ultimate goal of reducing the number of road traffic crash injuries and fatalities. Phase III of the campaign will run from September to December 2013 and will include many components aimed at increasing the helmet use rates among children including in-class education, online media, police enforcement, and upgrading the roles of road safety partners. View the photos from all three events here. On September 18, AIP Foundation's "Children also need a helmet" public awareness campaign launched an initiative asking parents to make a pledge to put helmets on their children in Hanoi, Danang, and Ho Chi Minh City. Pledges can be made online, in person at in-school events, or by mail. 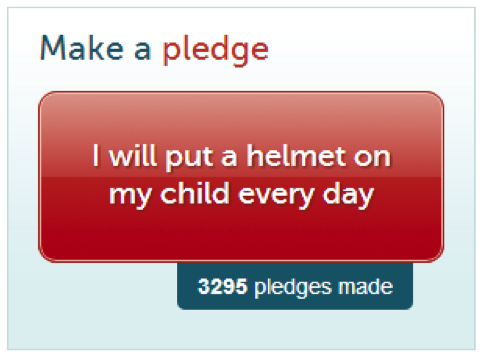 The pledge drive is just one component of the public awareness campaign's Phase III activities intended to remind parents that child helmet use is their responsibility. Parents who sign the pledge will be entered in a lucky draw and each week a winner will be chosen to receive a free Protec helmet. During Phase II of the campaign, more than 175,000 parents pledged to put helmets on their children and observed child helmet use in these three cities increased from 31 to 47 percent. Click here to Make a Pledge for yourself and get a chance for lucky draw Protec helmet. On September 20, the "Children also need a helmet" campaign launched the "Kids love helmets" photo contest nationwide. Parents are invited to submit photos of their children wearing helmets to the "Children also need a helmet" Facebook page and the photos with the most likes will receive free Protec helmets. The individual who submits the most-liked photo will win a trip to Phu Quoc Island. The contest will run from September 20 to November 20 and is open to all parents in Vietnam. Other online activities include a call to action for parents to put helmets on their children and useful information covering proper helmet use, driving safety facts, and tips on how to choose a quality helmet. 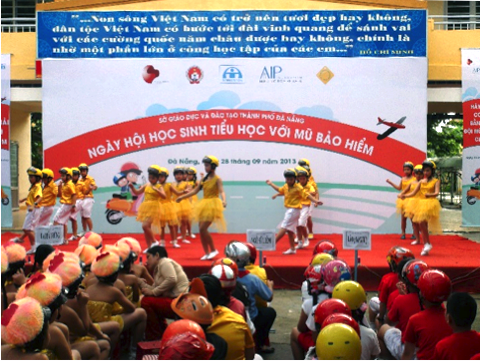 On September 28, the Danang Department of Education and Training (DoET), Traffic Safety Committee (TSC), and AIP Foundation cooperatively organized the "Helmet day with primary students" in the Cam Le district of Danang. Representatives from the Danang People's Committee, Department of Education and Training, local Traffic Safety Committees, parents, and students attended the event. Stakeholders delivered speeches calling parents to action to encourage child helmet use and all representatives of the Department of Education and Training signed a commitment to enact a child helmet use law. Road safety awareness-raising films were shown, and students who could not afford quality helmets received them as donations. Activities included a helmet-painting contest, road safety communicator competition, a flash mob performance with helmets, and a road safety skit to affirm the importance of helmet use. 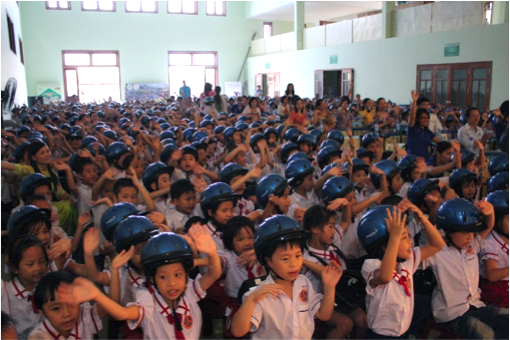 The "Helmet day with primary students" is the result of one of two small grants for local child helmet initiatives from Phase III of the "Children also need a helmet" public awareness campaign in Danang. Hello moto? Dance troupe addresses road safety issue. A dance troupe based out of Phnom Penh is taking on a new theme for their latest performance - road safety. Before every performance of MOTO MOTO the audience is informed that around four people die every day as a result of a motorcycle related crash. Epic Arts still needs $5,000 to tour the production, but the troupe believes the country is in desperate need of a road safety awakening. 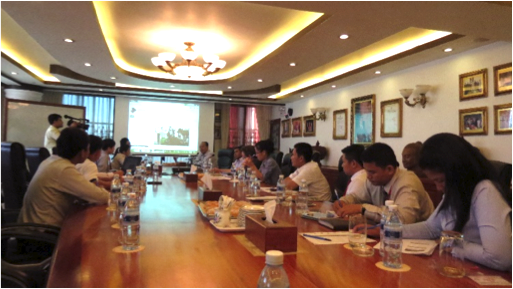 On September 2, AIP Foundation conducted a consultative meeting with relevant government officials, civil society groups, road safety stakeholders, and students from four universities in Cambodia with the goal of gauging youth attitudes towards the Safe Roads Cambodia website. Attendees shared their diverse perspectives and suggested revisions to the site. Many comments focused on headers, navigation, social media, and publicity.